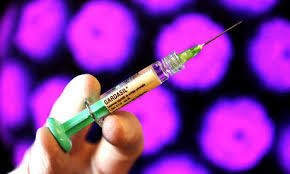 Homeopathic medicines will help reverse the symptoms of Gardasil (HPV) vaccine injury. February 2016 - April 2016. Please share this story with those who are Gardasil damaged, so they may have new hope and healing! This recovery story is about Stephanie who is now a 15 year old teenage girl, living in Pennsylvania, USA. Stephanie is a tall, slender, pale brunette with long hair. She is sensitive and used to be "outgoing, happy, full of life" says her mother. She is youngest and only beloved daughter of a family of 4 children. Her Gardasil shot changed that happy life to a two year nightmare. Stephanie became ill within 24 hours of after having one shot of the Gardasil (HPV) vaccine. Her vaccine was manufactured by Merck and was lot # 7002641. Her vaccine was given to her at the recommendation of her family doctor, at the age of 13 at a routine checkup. In addition to the terrible headaches - that were so bad, she could not even pick up her head - Stephanie suffered from chronic hair loss, light sensitivity, fatigue, skin break outs, vision issues, dizzy spells, insomnia and joint pain after her single Gardasil injection. She has clear symptoms of Gardasil damage. The worse symptoms for her were her severe and unceasing headaches, night and day. She had to use packs of ice so she could sleep at night. 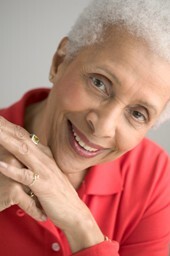 She suffered from symptoms of chronic fatigue. She was depressed, with brain fog and had loss of memory. Episodes of rage at what she was suffering with started to appear. Dizzy spells occurred often. Each month, if her period did come, she had very heavy bleeding and very painful period cramps. Her young life was a MESS after a single jab of Gardasil! After the adverse vaccine effects began, Stephanie soon saw her doctor with her mother. Her doctors several prescribed drugs for her over the course of several months. One doctor gave her an MRI which came back as "normal". Another doctor then told the mother it was likely "hormones" and prescribed medications. The drugs prescribed included blood pressure medications, Indocine, Trazadone and Ramaron to help her sleep. She was even given experimental Botox injections prescribed by a neurologist every 3 months (to the cost of over $1,000!) for her terrible headaches. But none of these helped. The family kept turning to medical doctors for help with Stephanie's severe suffering, but nothing they did helped Stephanie in her suffering. The drugs they prescribed didn't do anything to help her feel better, including emotionally. 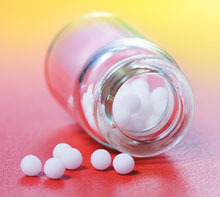 In homeopathy and natural medicine, we know that drugs only suppress symptoms, they never cure anything. Stephanie missed out attending school and having a normal teenage life due to her pain and fatigue. Her family was in grief, especially her mother. Her mother like many "good mothers" had followed the doctor's advice and had Stephanie vaccinated. But when Stephanie has an adverse reaction, that "good doctor" said it had nothing to do with the vaccine and prescribed drugs for her headaches that didn't work, instead. Her own doctors never considered the possibility that the vaccine had done this to her. But her mom knew better and so did Stephanie, because Stephanie's life literally fell apart within 24 hours of a single Gardasil shot. Sadly, at one point, Stephanie even tried to commit suicide. She swallowed the prescription pills given to by her doctor, when she could not longer stand the suffering. Thankfully, she failed to end her own life. Luckily for Stephanie, there was new hope and help with homeopathy! Stephanie's mother found me via the internet and we communicated. A few weeks later, after completing my thorough intake process paperwork I did a full case intake via skype. I met both Stephanie and her mother on skype and we talked for 2 hours, so I could learn all the details of her story, get to know her, her background, her suffering and her Gardasil symptoms in great detail. My goal with Stephanie's homeopathic care was to get her back to that happy, hopeful teen she had been and reverse her terrible reaction to her Gardasil vaccination! 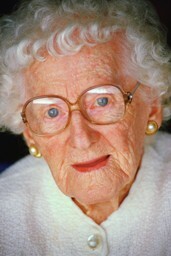 We needed bring her back to the life God intended for her, using the power of homeopathy, a natural medicine. I knew homeopathy would work for her case, because I have treated hundreds of other vaccine injured and other chronic disease cases, including children and adults damaged from MMR, DTaP, military vaccines as well as children with diagnoses of Autism, ADHD, PANDAS and other neurological disorders - which are all associated with vaccine injury at some point in their life. I started Stephanie in my Gardasil Vaccine Injury Reversal Program. My program uses homeopathic remedies and supplements under my close weekly supervision, customized per case. I counseled the mother during our initial 2 hour skype intake on expectations and how long it would take. In my years of treating vaccine injury and my experience, 3 months is the least at amount of time it takes to have lasting, clear results from detoxing a vaccine like Gardasil or any others. Then after that, ongoing constitutional support with homeopathy is offered and would support the person who was now so very depleted - spiritually, emotionally and physically. Ongoing constitutional care after vaccine detoxification is very important so that the body can recovery and even achieve a higher level of vitality and wellness than before the vaccine injury occurred. Constitutional care also assures there is no relapse and the person will have long term increased health. I use an individualized approach for each client who is vaccine injured, based on their constitutional type, their unique nutritional deficiencies, their energy and symptoms. No two clients are the same. No clients therefore will receive the same "Detox Protocol" - this is not how I practice. I use a constitutional remedy to open the case and also homeopathic tautopathic remedy made for the exact vaccine received, in her case Gardasil. I use ascending vaccine and other potencies from a 30C - 10M. This is done to clear the vaccine but it must also be done while using a constitutional remedy as well during this period in my practice. I Treat Each Person As An Individual, In A Customized Way. The remedy, dosing and adjunct supports must be adjusted to each individual, on a case by case basis in my practice. The maximum doses that I give may vary, sometimes dry, sometimes in water depending on the sensitivity of the person needing to be detoxified and their overall vitality. The body needs time to detoxify after the stimulation of the remedy. If there are any strong clearing reaction, we will stop the dosing and allow the body to catch up. Vaccine injured clients are severally depleted in essential nutrients. I use a daily regime that is a combination of homeopathic cell salts as well as daily supplements key nutrients including things like B complexes, zinc, magnesium, iodine, Vitamin D. and other supplements - all depending on the health status of the person I am treating. I could tell by looking at Stephanie that her vitamin D level was very low. She was very pale, and looked very sickly plus due to her condition and fatigue, she spent a great deal of time indoors. To see how low her vitamin D was, I asked her mother to do an easy at home Vitamin D levels and knowing the level is critical to a faster recovery. Anyone can order the prick test kit here www.vitaminDcouncil.org for about $50 and do it at home easily. Those tested below 40 ng/ml are put on 10,000 IU's of vitamin D daily. Optimum vitamin D levels are critical to a faster recovery! I require my clients (their parents) to check in by email in a report format I provide on a weekly basis to share symptoms, improvements and details of the case's progress so I can closely monitor their symptoms and then answer any questions and best support the recovery progress. All my vaccine injured and chronic care clients comply with this system. We start with a 2 hour initial skype consult and then ongoing monthly skype consultations with weekly or biweekly email reports. Working via skype allows me to work with many vaccine injured clients across the USA and Canada, as well as certain English speaking countries. Prayer and spiritual support is very important in complex vaccine cases like Stephanie's. As a Christian, I believe in the power of prayer for healing. In this difficult case, I asked the best prayer warrior I know (my mother Shirley!) to pray for Stephanie's healing and she did, on a daily basis during her entire care period. I believe homeopathy is "God's medicine" because it is a natural medicine that works and supports the way our Creator intends us to heal. We are programmed to heal - and homeopathy lifts emotional trauma and suppression, past drugs and medications, environmental toxins, vaccine damage and helps the body make the energetic shift so that we can heal - as a whole person. "Energy is a little better." 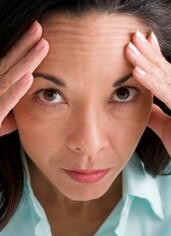 "Still bad headache behind left and right eyes on different days, dizzy spells and stomach upset. Key supplements daily and Stephanie's constitutional remedy are still given for added support to her detoxification and energy. "Her period started this week severe cramps and body aches with it." "Her energy is a little better. 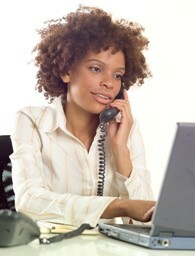 Definitely doing better with energy and severity of headaches." "Her menstrual cramps were relieved with remedy Magnesium phos 200C." "Still has headache all the time but not as severe." "She is definitely doing better some days are better than others depending on dose night before." "She is currently waking in better mood and not as emotional. We have continued with homebound school instruction and will be doing that till this remedy dosing is complete." "Stephanie is definitely showing signs of being her old self." "She is less moody. She is showing signs of more energy every day." "Stephanie said she is definite seeing an improvement in her energy and being able to do things she wants to do." "She is doing ok with concentration seeing improvement." "She is cheerful at times but still has mood swings." "She is starting to be able to walk longer without total exhaustion." "Headaches still there but are lessening depending on the weather and amount of sleep." "Stephanie rates her headaches as a 4 now verses a 7 all the time and worst being a 10, so I think things are getting better." "Stephanie is definitely showing signs of being her old self!" "She is showing signs of more energy every day." "Headaches are still there but are lessening, depending on the weather and the amount of sleep." "Stephanie said she is definitely seeing an improvement in her energy and being able to do things she wants to do." We have now reached the completion of Stephanie's 3 month (12 week) Gardasil vaccine detox. She is now able to do many more things like she used to, and to be involved in school and social activities. She has the chance now to enjoy the life of a teenager again. She has dramatically improved in energy, has much better sleep, normalized menstrual cycles and reduced menstrual pain. The awful daily headaches are hugely improved. Most importantly, the physical and emotional trauma of the Gardasil damage has been lifted. She has a new path to a new future! The extreme damage from the Gardasil has been removed, using homeopathic care. The Greater Good - Think You Know Everything About Vaccines...Think again.